Amazon Elastic Compute Cloud (Amazon EC2) provides scalable computing capacity in the Amazon Web Services (AWS) cloud. 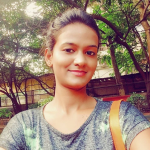 It is a web service where an AWS subscriber can request and provision a compute server in AWS cloud. The instance will be charged per hour with different rates based on the type of the instance chosen. AWS provides multiple instance types for the respective business needs of the user. 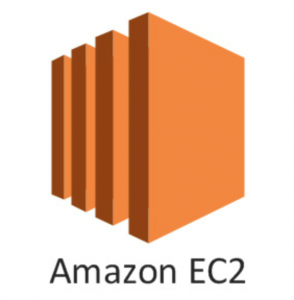 Creating Amazon EC2 instance is very simple. Amazon provides multiple ways to create/launch Amazon EC2 instance. Following are 8 steps to create Amaozn EC2 instance through Amazon Management Console. 1.2 Click on Services link on top left corner. 1.3 Go to Compute and Click on EC2 link. 1.4 On the top right corner of the EC2 dashboard, choose the AWS Region in which you want to provision the EC2 server. 1.5 Click on Instances link on link in the left verticle. 1.6 Click on Launch Instance button. Here we are choosing the default Amazon Linux (64 bit) AMI, which is eligible for Free tier. Click on Select button in front of AMI. Note: Be very careful while selecting AMI. There are many AMIs which contains paid softwares. So for safer side select only Free tier AMI. In the next step, you have to choose the instance type based on your business requirement. In this example I am going to choose t2.micro instance type, which have 1vCPU and 1GB memory server offered by AWS. Click on Configure Instance Details button, for further configuration. Following basic configuration are mandatory for launching EC2 instance. Number of instances: You can launch up to 20 instances at a time, here I am going to launch 1 instance. Purchasing option: In this example, I am going to keep unchecked Request Spot Instances. Network: In this example, I am going to choose default VPC which is provided by AWS. Instead of default VPC you can choose your own choice VPC, but first you have to create VPC then use it. Enable termination protection: For this example, I’m keeping this option unchecked, howevery for production enviornment it must be checked. Monitoring: This is chargable servive, so keeping this option unchecked. T2 Unlimited: For this example, I’m using unchecked. Now click on "Next: Add Storage" button. Following are the steps to add storage to your EC2 instance. You can change your volume size, add new volumes, change the volume type, etc. AWS provides 3 types of EBS volumes- Magnetic, General Purpose SSD, Provisioned IOPs. You can choose a volume type based on your application’s IOPs needs. You can tag your instance with mutiple key-value pair. Tagging gives visibility to the AWS account administrator when there are lot number of instances. The instances should be tagged based on their department, environment like Dev/SIT/Prod. Etc. this gives a clear view of the costing on the instances under one common tag. Click on "Add Tag" button, the provide Key and Value. Now click on "Next: Configure Security Group" button to configure security. In this step of configuring Security Groups, you can restrict traffic on your instance ports. This is an added firewall mechanism provided by AWS apart from your instance’s OS firewall. You can define open ports and IPs. Note: Never ever enable SSH protocode to the world that is 0.0.0.0/0. It has major security issue. Always try to enable your network or company subnet for SSH protocol. Once, the firewall rules are set, click on "Review and launch" button. In this step, we will review all our choices and parameters and go ahead to launch our instance. In the next step you will be asked to create a key pair to login to you an instance. A key pair is a set of public-private keys. AWS stores the private key in the instance, and you are asked to download the public key. Make sure you download the key and keep it safe and secured; if it is lost you cannot download it again. After you download the key-pair. Click on "Launch Instance" button. Amazon will start launching your instance, and status will be shown on “Launch Status” page. Now Click on instance Id to check your instance details. After your EC2 instance launched successfully, you would like to access/login to your instance from local machine and install required softwares. Following are the links which will help you to to perform certain useful operation post EC2 instance launch.